Gazprom has gone from being a great commercial hope to an ailing giant. Gazprom`s owners need to face up to the crisis and institute reforms. A year ago, Gazprom was the third-most valuable company in the world with a market capitalization of over $350 billion. It has shrunk by two-thirds to about $120 billion, declining to the world`s 40th-largest company, even though it still accounts for about 20 percent of Russia`s market capitalization and roughly 10 percent of its gross domestic product. In the first quarter, the country`s gas exports plunged by 56 percent from last year, which is compelling Gazprom to cut its production ever more. During the first 10 days of May, it plummeted by 34 percent. Even in the fourth quarter of last year -- when production, exports and prices were still going strong -- Gazprom`s profit shrank to $1.4 billion. The company is expected to suffer a multibillion-dollar loss this year. Gazprom has persistently been poorly managed, but its problems reached a peak when it turned off the spigot to 20 European countries for two weeks in January. It has cut off supplies to former Soviet republics many times, and eight European countries suffered somewhat in 2006, but this time Gazprom established its reputation as an unreliable supplier. Its European clients are not likely to come back any time soon. In the present recession, in which energy supplies are ample, other options look more attractive than Gazprom. Unfortunately, Gazprom is a state corporation with few commercial advantages. Independent gas producers, notably Novatek, produce gas far cheaper, and they manage to sell increased amounts on the domestic market, unlike Gazprom. With its unwieldy bureaucracy, Gazprom can only produce from giant fields, leaving most secondary and tertiary fields undeveloped, since it prohibits more agile independent companies to do so. Nor does Gazprom have a comparative advantage in the transportation of gas. No other company has so many explosions on major pipelines. Moreover, Gazprom is notorious for including shady intermediaries, which later prompt the company to shut off its deliveries. Few companies procure at more excessive prices. When Gazprom built Blue Stream, Hermitage Capital Management showed that Gazprom`s cost per kilometer of pipeline was three times greater than on the Turkish side. This seems to be a standard excess cost for Gazprom. Gazprom`s only comparative advantage is its control of one-quarter of the world`s gas reserves, but these reserves do not actually belong to the company. They are only licenses granted by the government. In reality, government protection is its only true strength. In their excellent book, "Putin and Gazprom," former Deputy Prime Minister Boris Nemtsov and former Deputy Energy Minister Vladimir Milov clarify the real purpose of Gazprom: to transfer assets out of the company to government officials. The current recession exposes Gazprom`s weakness and offers an excellent opportunity to reform it. In a rational market economy, such a company would not exist. The Natural Resources and Environment Ministry would deprive it of neglected or mothballed licenses. Independent gas producers would quickly outcompete Gazprom in production. Its share of Russia`s gas output has actually fallen to 75 percent in May 2009 from 83 percent in May 2008. The gas pipeline system should be separated from production and be opened on equal pricing conditions to independent producers. The arguments for a profound reform of the country`s gas sector have never been stronger. How long is the Kremlin prepared to tolerate Gazprom`s massive waste of resources? Gazprom`s management -- which is to say the Russian government -- does not seem to understand the severity of the crisis. Instead of apologizing to their European customers for the supply cut and trying to woo them back, Gazprom is pursuing an aggressive, self-defeating policy that further alienates customers. With the sharply reduced gas exports to Europe, Russia has no need for additional pipelines, such as Nord Stream through the Baltic Sea to Germany, costing about $15 billion, and South Stream through the Black Sea to Italy, costing about $20 billion. Gazprom, which is already heavily indebted, cannot afford such expensive pipelines. 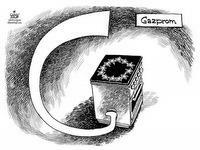 Moreover, the gas conflict in January demonstrated that the biggest problem is Gazprom and not gas transit. The existing transit pipelines through Ukraine and Belarus have ample excess capacity and are much cheaper. This eliminates the need for alternative pipelines. Even so, the Kremlin is trying to accelerate the construction of Nord Stream and South Stream. It also sharply criticized the March 23 EU-Ukraine declaration on the gas transit system through Ukraine, which would solve the problems with its gas transit for a paltry investment of $3.5 billion. Such protests against improved governance are clearly not in Russia`s national interest. Since Gazprom has been forced to reduce its output, it has neither the need nor financing for the expensive development of its new mammoth fields, Shtokman in the Barents Sea and Yamal in the far northern tip of Siberia. Even so, it is now proceeding with contracts for the development of the Shtokman filed for an initial $15 billion. Its partners, France`s Total and Norway`s StatoilHydro, should call its bluff. In the current gas glut, Gazprom no longer needs Central Asian gas, which it has contracted at prices above the current market prices. The Turkmens were not surprised when the pipeline taking their gas through Russia blew up on Russian territory. After all, Moscow embargoed all of Turkmenistan`s exports for 18 months in 1997 and 1998 until Ashgabat built a pipeline to Iran. For the European Union, Gazprom`s new weakness offers a once-in-a-lifetime opportunity for the gas trade with Russia to operate better, and Gazprom`s shareholders have an evident interest in going along with European gas reforms to recover the markets the company has lost. The two should come together and reform both the European and Russian gas sectors. The centerpiece should be an all-European gas reform, with unbundling of transportation and gas production. Therefore, the Europeans should take up President Dmitry Medvedev`s recent proposal for a new legal framework on energy cooperation. Medvedev wants to replace the Energy Charter of 1991, which nearly all other European countries have ratified. Both Russia and Europe need an agreed legal framework for global energy cooperation. 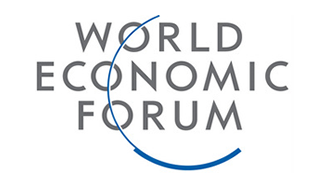 Gazprom`s acute crisis offers the best opportunity for Russian and European energy reform. In the current recession, Russia can no longer afford Gazprom management`s egregious waste. Anders Aslund, a senior fellow at the Peterson Institute for International Economics, is co-author of the new book "The Russia Balance Sheet."